Looking for a job as a college student can seem daunting. Most job postings are looking for work experience and newspapers are constantly publishing stories on how hard it is to find a job. What chances do you have? Quite many and it all starts by nailing down your job application. 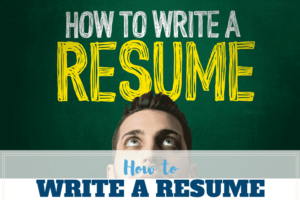 In this guide, we’ll give you tips on how to create the perfect resume – how to play to your strengths and write a resume capturing the hiring managers attention. The most important thing to remember is to know what’s your strongest point in terms of creating a resume. As a college student, your strength will be your education. Your focus for the resume should be on presenting your academic background. You need to do this in a way that shows why your education will benefit the employer – because a good resume is not really about showing off your skills but showcasing why those skills will benefit the employer. The truth is you probably don’t have a lot of work experience to rely on. If you are a full-time student, your work experience is limited to any part-time or holiday work you might have done. These might not offer you as strong relevancy to the job in question – you are probably doing them just to earn some money. However, your education is preparing you for your desired industry. Therefore, your attention needs to be on harnessing your education to benefit your resume. Remember it’s not just about listing the institution and your degree name. You should also list any relevant courses to the role and the skills you’ve learned in those courses. For example, you might be applying to work as an assistant in an international law firm and mentioning any specific international law courses and assignments can help build your case. You might also do language studies on the side of your degree and you know the office is multilingual – mentioning this will immediately boost your resume. Furthermore, it can boost your resume to mention any achievements and academic awards you might have received. Perhaps you’ve been chosen as a mentoring student for new students or the school awarded you for your success during the exam season. These sorts of achievements are worth mentioning in the resume – they will highlight your transferable skills. Aside from focusing your efforts on showcasing your skills and qualifications through the education section, you should also consider another element. A career objective or a qualifications summary is a great addition to a college resume. Either of these below sections can be added right at the top of the resume. They are supposed to capture the hiring managers attention to ensure they read it further – you want to pay a lot of attention to getting them right. First introduces your degree and a strong example of a specific experience that’s relevant to the job. Then gives a summary of your strongest skills that would make you the perfect person for the role. Concludes with an illustration of your value to the organization based on your skills and experience. Motivated Politics student who demonstrates strong work ethic and logical thinking. Seeking to apply political writing skills and creative drive as a summer intern at ZYX. Will leverage proven experience as a competent writer and researcher to contribute to the goals of publishing a leading political blog. On the other hand, a qualifications summary will help you outline your strongest qualities and skills with the job in mind. It’s a list of five to six of your most important and impressive achievements – relevant to the role, of course! Aside from talking about your grades and your courses, you should also leave room for mentioning extracurricular activities. These can be a great way to add depth to your resume when you lack work experience. College students are often involved in clubs and societies (if you’re not, they are a great way to learn new skills!). You might be part of the debating society or belong to the college football club. Being a member, and especially if you are an active and involved member, will help you present a new set of skills to the employer. You can talk about strong transferable skills such as organisational skills, having been part of creating a massive event for your Spanish society, for example. You might be able to mention your improved communication skills that you’ve developed participating in the drama society. There are many ways you can put your involvement in clubs and societies to good use. Of course, not all things have to be university-related. You might have hobbies outside of the school and these are also worth mentioning. Furthermore, you might have volunteered in the past or you are volunteering right now. That’s another great opportunity for talking about relevant skills. Again, volunteering can teach you skills like communication, leadership, teamwork, detail-orientation, and so on. Not to mention how you might have gained actual industry experience. If you are applying for posts involving animals, it can help to have volunteered at an animal shelter and so on. The key is to include extracurricular activities, which are relevant to the role you are applying for. You want to highlight activities, which the employer might find beneficial in terms of doing the job – you need to understand what the employer is looking for in order to include the activities that’ll bolster your chances of landing that role. Throughout the post, you’ve probably noticed the word ‘transferable skills’ popping up. Since you’re probably missing relevant job experience, you need to focus on showcasing transferable skills to the potential employer. These are those skills that help in the role but which you’ve gained through something not directly related to the actual job. You want to focus on talking about these skills rather than highlighting the roles in which you gained them. If you are applying to become a marketing assistant and the employer is looking for a candidate with strong customer service skills, you can talk about gaining those while working at an ice cream parlour. The focus is not on your job as the ice cream seller but the communication skills you used as part of your role. Essentially, you want to include a Relevant Skills section rather than necessarily creating Job History section. Your job titles might be irrelevant but the skills you’ve gained are extremely handy. Even when you end up listing your jobs under the Job Experience section, you need to avoid mentioning tasks that have no relevance to the job you’re applying for. For example, following the above example, you wouldn’t need to talk about how you cleaned the parlour every day or waited tables – these tasks wouldn’t be what the employer is looking for. On the other hand, you could mention how you used customer service skills, communicated offers to consumers and managed other employees, for example. One transferable skill you definitely want to include on your college resume is leadership. Employers are always looking for strong leaders – those who can make the rest of the group follow their vision. It’s important to highlight your ability to take the initiative and to lead, even when you haven’t been on the career ladder for years. If you’ve led a team, helped your peers perform better or taken charge of a troublesome situation, you should mention it in your resume. It creates an impression of a person who is willing and able to take responsibility. Any potential employer would appreciate this quality even if you lack job experience. Overall, it’s extremely important to stay active during your studies in order to gain these transferable skills. You should consider part-time jobs, volunteering and becoming a member of different clubs and societies. Teach give valuable experience without hindering your ability to study full-time. Whenever you are mentioning achievements and past experience, you should quantify those things. Numbers make a stronger point – they can show the actual impact of your action much better because of the detail. You tell exactly what your actions did and you showcase in detail how, what, and when you did. The achievement is the same but the latter example gives more context – you get a much clearer idea of the achievement. It even sounds more impressive! If you can mention money, then do it. If you know the worth of things you sold, the account size you were managing, or the money you raised, you should always include it. Introducing a timeline of events also adds more detail and clarity to your resume. It can even make your actions seem highly effective. When possible, add dates and duration. You should also include percentages and proportions on your resume. It can provide the hiring manager with a lot more context. If you have achieved top grades it can be beneficial to mention them. Job applications these days are mainly sent digitally. This has introduced a thing called the Applicant Tracking System (ATS) to the mix. The system digitally scans your resume with pre-determined keywords in mind and either approves or rejects your resume based on this. The employer would have set the required keywords (skills and qualifications relevant to the job, for example) and the algorithm examines how well your resume matches these. The idea is for the employer to reduce the number of resumes the hiring managers will have to go through – it saves time and money. As an applicant, you need to be aware of this to ensure your resume doesn’t get the boot. Read the job posting carefully – Underline the keywords in terms of skills, qualifications and knowledge. Check the company website – Conduct a wider search by examining the company culture and keywords related to that. Consider similar variations of the word – If the employer lists the knowledge of Application Programming Interface as a requirement, you should also consider using the acronym API when listing your skills, for example. Keep an eye on the industry – Check a bit what keywords competitors might be using and don’t forget to include big industry buzzwords. Now, you might be wondering how any of this applies to situations where you are just uploading your resume to an online job portal. Although you aren’t targeting a specific job posting, you should still write the resume with a specific job in mind. You need to have some kind of idea the kind of roles you are targeting and the industry you want to work in. Keywords in industries and same job positions are rather similar even when the potential employers are different. Therefore, simply glancing at past job postings of the kinds of jobs you’d want and checking out your ideal employer’s website will help you get a sense of the keywords you should use. Industry buzzwords are also going to be beneficial! The language you use must be natural. Don’t spam keywords in a row or use incoherent sentences. Make sure to use keywords when they actually match your skills. You should never lie on your resume – if you don’t know a skill and it’s a keyword, don’t add it simply for the sake of using the keyword. Your resume should always use action verbs. Action verbs describe the action you took and which led to a specific result. It immediately tells the reader what happened and how it happened – it shows motion and impact, two things hiring managers want to see on a resume. Michigan State University has compiled a great list of hundreds of action verbs. You can check out some powerful action words on the website for more. You should say, “Managed the minutes of the meeting every week for Football Club” and immediately show your skills. Remember the key to a successful resume? It’s showing the employer how you can benefit the organization. Therefore, you don’t want to just list skills and qualifications. You want to show motion and results – you want to show how your ability to take action has led to good things in the past and will lead good things in the future if you’re hired. Remember to select your action words based on the keyword research! When it comes to putting it all together in the form of a dazzling resume, you should consider using a template. 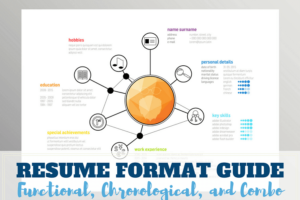 If you’ve never written a resume before, online templates can guide your writing and help you to better understand how to format and structure the above tips. Online templates can help with the mundane elements such as which font is the best for resumes and what length should the resume be. However, you need to remember resume templates are just a template and guidance to help you write the best possible resume. You should never copy a format directly or use example sentences taken off the Internet. Your resume should be tailored to the specific position in question. Make sure you highlight your strengths – you don’t want to add Skills section higher than Education if your academic background is the strong suit. No matter how great the content of your resume, you can’t impress the hiring manager if you don’t know how to spell. Grammar mistakes are never acceptable and you will be penalized against them – there’s no free pass on this. What does it say about you as a candidate if you can’t spell? Bad language shows lack of communication skills and attention to detail. It also shows disrespect and lack of passion to get the role – if you didn’t bother proofreading the resume, then what else will you be lazy about? After you’re done, take a 15-minute break from writing and do something different to clear your mind. Get back and proofread the resume. Change the font style and size just for proofreading to trick your mind into reading something ‘fresh’. Print out the resume to make spotting errors easier. Read the resume out loud. Ask a friend or a fellow student read it for you. You might even get help from your college career centre so check them out. Writing a resume as a college student might seem difficult because you haven’t gained valuable work experience. However, you still have a lot to offer to potential employers and by focusing on your strengths, you can create a resume that lands you that job interview. The key is to highlight your education – boast about good grades and coursework that’s relevant to the role. Include as many extracurricular activities as you can and pay attention to transferable skills. You need to know what the employer is looking for to do just that. So find those all-important keywords and use a template that plays to your strengths.